On the afternoon of March 27th, The Weeknd posted a screenshot of a text message he sent to his creative director. The internet then assumed it was his new album. Well, it was not just an assumption now since it turned out to be correct. Plus the fact that The Weeknd has been sharing photos and videos of him working at a studio. 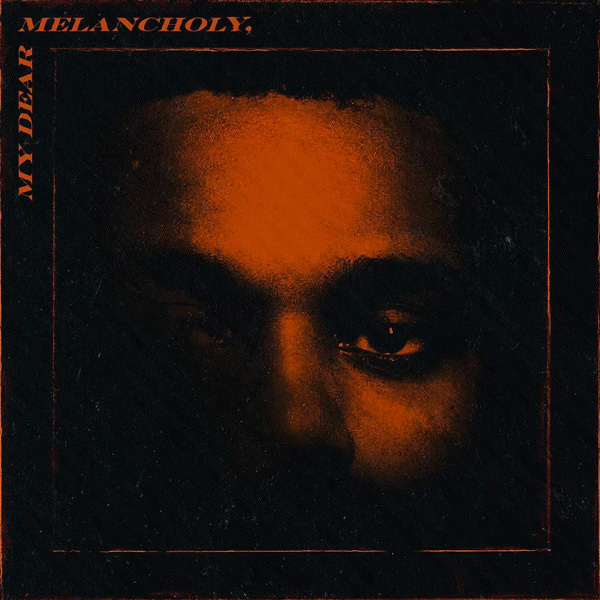 Anyway, now that his new EP is out, I'm sharing my brief thoughts on My Dear Melancholy,. If you've scanned through my blog, then you'd know I used to actively post about TMH playlist, which is basically like a mixtape that I personally curated. Now I've always loved The Weeknd's voice and his modern, hip-hop-y Michael Jackson vibe. I love Can't Feel My Face and The Hills from Beauty Behind the Madness (2014). Come Starboy (2016), I'm already a devoted fan. Those. Sick. Beats. My goodness. My personal favorite is Secrets and I Feel It Coming (which is a subtle shade at her ex Bella Hadid. The Weeknd had his fair share of heartbreaks ever since he became mainstream, so I wasn't surprised at the shades he low-key threw through his new music. Rumor has it, he almost gave one of his kidneys to Selena Gomez. Well, perhaps it is true since mentions it in his song, Call Out My Name. By the way, the song title's so timely, because it's almost similar to the movie Call Me By Your Name. Ouch. That's pretty harsh. Also since it's the first song off his new album, it's pretty much a glimpse to the darkness and heartbreak (with trip-hop beats still) that is My Dear Melancholy,. Plus the rest of the songs from this album. Except of course for Hurt You, which sounds more upbeat (and a low-key version of Starboy) than the others. And, as if it's not yet obvious, the title is pretty much a giveaway already. To be honest, I prefer the upbeat (and okay, mainstream) version of The Weeknd... But then again, perhaps this is him going back to his roots. When he was starting out, he's been known for bringing a dangerous, sexual edge to soul music. So have you heard his new EP yet? What do you think about it? Let's talk about in the comments section! I'm still enjoying his song "Pray for Me" (Black Panther soundtrack) with Kendrick Lamar. He's a creative music artist and has a uniquely beautiful voice, so I like listening to many of his songs (Earned It, Secrets...). I haven't heard any of the songs from his recent album yet- but after reading your post, I'm curious so I look forward to checking them out. Yes, people went crazy over that one song about Selena. But the EP is good!